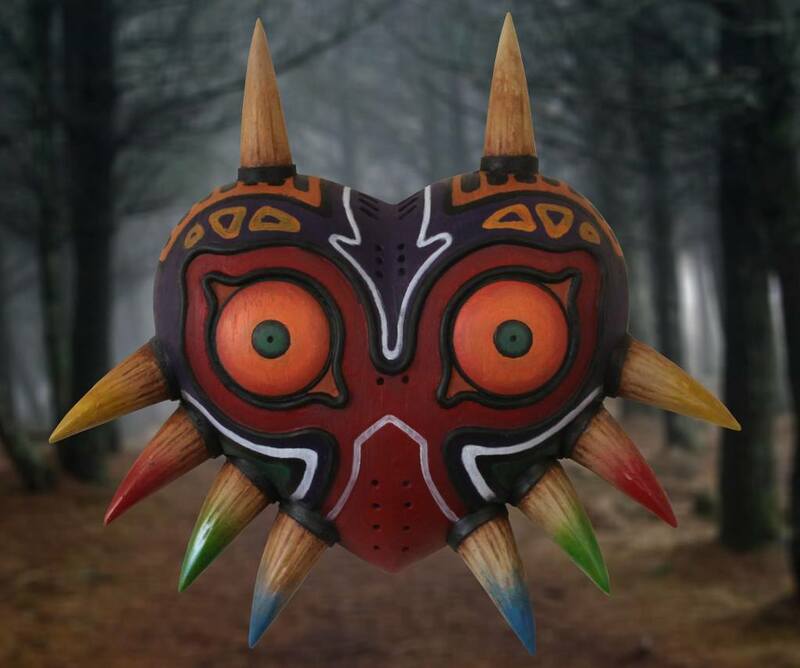 Etsy user MasenkoProps has created a truly remarkable piece which I think we can all sit back and appreciate – a full size replica of Majora’s Mask. The iconic mask is available to purchase in both a matte and gloss finish and ships worldwide. Hit the jump to find out more! The mask is made out of cast polyurethane resin, hand painted with acrylics and is designed to look almost like an ancient artifact with wood grain effect and aged metal. For those who are interested in the gloss option, that version of the mask will be finished with a high quality gloss lacquer. 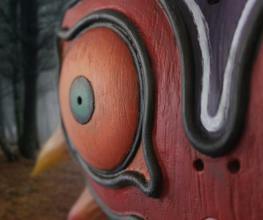 You can take a look at the mask here, where it is also available to purchase for $152.59 USD. You should also check out MasenkoProps where they have a select few other products including an equally impressive replica Hylian Shield! What do you think of this item? Would you consider purchasing? Let us know in the comments.